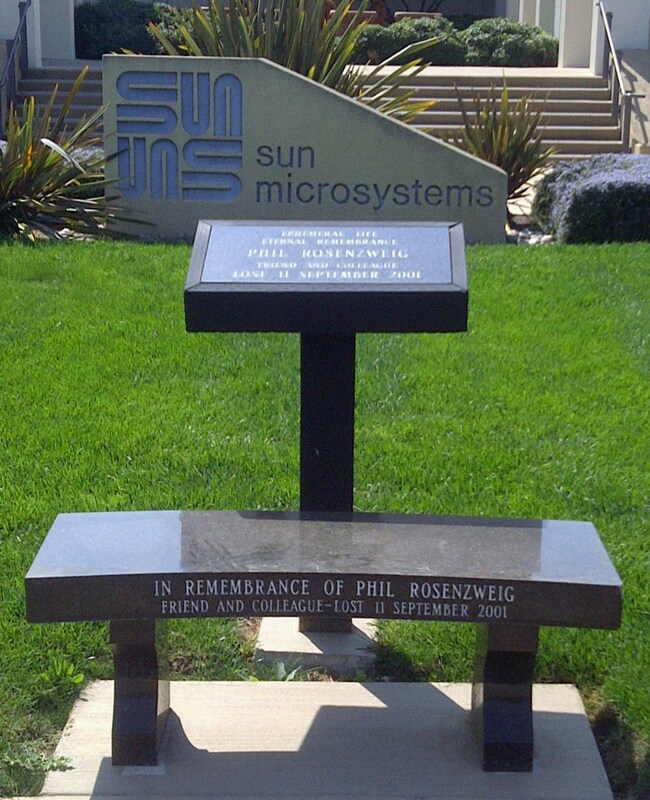 I worked with Phil at Sun – even though we were on opposite coasts, our paths crossed frequently as we were both in the same group. Nice guy. We had a bit of a disagreement over a project and then our paths just crossed less often. Quite a while later I ran into Phil in the corridor. He stopped me to chat – I was just going to keep walking. We talked about that project. We had a bit of a laugh. We agreed to spend more time together, perhaps on his next trip, to see if there was a joint project we could collaborate on. Phil’s next trip was on September 11th 2001. I am so grateful that he made me stop and we had that chat. Now I never delay resolving an issue. I don’t even wait a day. 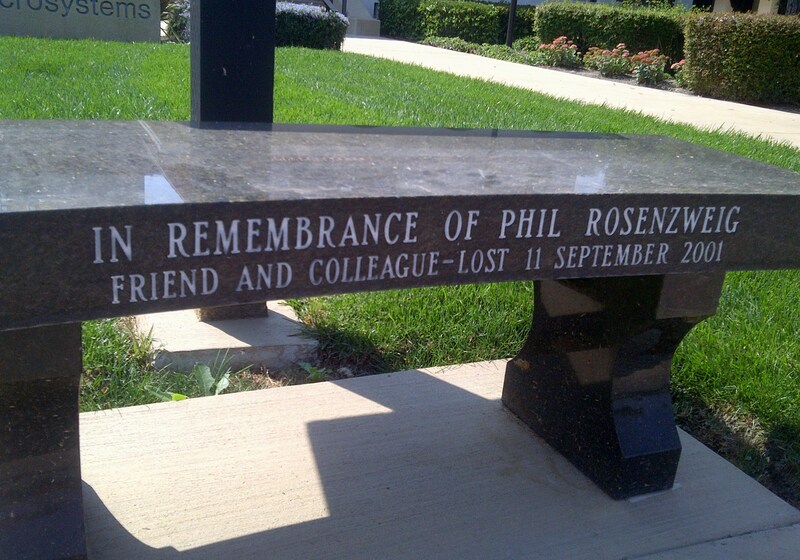 I went down to the old Sun campus today to take a moment to remember Phil. 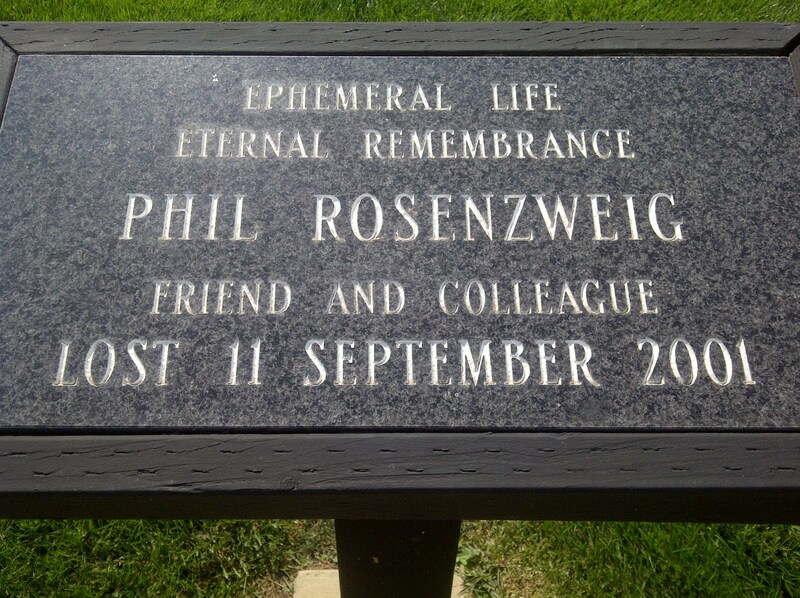 Thank you for your friendship and sage guidance Phil.